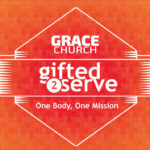 Today we begin to look at the third major portion of scripture that deals with Spiritual gifts. We look at 1 Corinthians 12. How many of you did your homework this week? How many of you read 1 Cor 12,13 and 14? How many of you read it more than once? What did you take away from it this week? There is a lot in that section of scripture right? There are some tough issues and some really touchy subjects in there, isn’t there? We will work through all of that and hopefully we can bring some resolution to some of it. Today we are going to start by reading all of Chapter 12 together and then we will look at the first 7 verses in detail, and discover the principals of Spiritual Gifts. 4 There are different kinds of gifts, but the same Spirit distributes them.5 There are different kinds of service, but the same Lord. 6 There are different kinds of working, but in all of them and in everyone it is the same God at work. 27 Now you are the body of Christ, and each one of you is a part of it.28 And God has placed in the church first of all apostles, second prophets, third teachers, then miracles, then gifts of healing, of helping, of guidance, and of different kinds of tongues. 29 Are all apostles? Are all prophets? Are all teachers? Do all work miracles? 30 Do all have gifts of healing? Do all speak in tongues? Do all interpret? 31 Now eagerly desire the greater gifts. And yet I will show you the most excellent way. Corinth was the most important city in Greece in Paul’s day. It was a bustling hub of worldwide commerce, degraded culture, and idolatrous religion. The city was filled with shrines and temples, but most prominent was the Temple of Aphrodite. Worshipers of the “goddess of love” made free use of the 1000 Temple prostitutes. This cosmopolitan center thrived on commerce, entertainment, vice and corruption. First Corinthians reveals the problems, pressures and struggles of a church called out of a pagan society. Paul addresses a verity of problems in the lifestyle of the Corinthian church. Factions, lawsuits, immorality, Questionable practices, abuse of the Lord’s Supper and even Spiritual gifts. In addition to words of discipline, Paul shares words of counsel in answer to questions raised by the Corinthian believer. Not unlike today, this book is very timely. Now about the [gifts of the] Spirit, brothers and sisters, I do not want you to be uninformed. Gifts is not in the text. 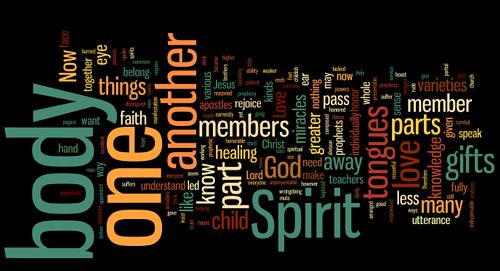 Ultimately it is about the things of the spirit. Paul is addressing the question that they had asked Him. Apparently there were questions regarding how the gifts were being practiced and perceived by the people of the Church. Largely by the context we see that there was disunity in the body because there were some who were getting more attention than others. I do not what you to be uninformed… Paul is very concerned that they know the purpose, the source and the use of the gifts in the church. They are essential to the proper functioning of the Church. Both today and then. Paul takes this moment to warn them that their knowledge of spiritual things has been influenced by their past, and even by the enemy itself. This is a warning to us as well. For example, I was raised in a tradition that would say emphatically that many of the manifestation gifts listed in this passage are gone. The reason I believe I was taught this way, was because of the abuse of these kinds of “giftings” as they have been practiced in recent times. I am striving to look at the Bible and to read it without coming to it with any preconceived notions as to what it says. Not trying to prove a point one way or the other but simple to look at what it says. What this is doing is challenging me to test the scripture against itself and to see what it truly says. There are a great many of Godly men and women who have differing views on these passages. The greatest thing the Enemy can do is use this as a way to divide the church. This is not an essential point of doctrine. But it is important for us as a church to discuss and learn what God would tell us on how we are to operate as believer in His church. As I look at what the text says I do not see evidence that these things are gone, but instead that they need to come under the conformity and truth of what the scriptures say. Paul also warns us very specifically that these gifts can be counterfeited both in the flesh and by the enemy. That is why Paul want us to understand them, so they are functioning in the body the way they should and we can spot the fake. How do we do that? Paul gives us the first clue here. It will always point to Jesus. Any gift that does not point to the Good News of Jesus is not a spiritual gift. It very well may be a counterfeit. Specifically in the time of the Corinthian church there were several harmful influences coming against the church. 2 of them are specific to this topic of conversation. The first was called the Mystery-Religons. This was the pagan practices that Paul just mentioned earlier that sought a supernatural experience to connect with God. The second major influence that was influencing the church was a doctrine creeping into the church called Gnosticism. Gnosticism was a heresy that denied the deity of Jesus and His sufficiency to save. They were in essence saying Jesus was not strong enough to handle the problems they were struggling with. We do this today as well. We deny the power and sovereignty of God in our lives and turn instead to other things. Paul says if it is from the Spirit it will point to Jesus and it will affirm His Lordship in our lives! Don’t ever believe that just because something happen in the church that it is of the Spirit. Satan spends much of His effort and time in the church. And don’t assume just because someone is a Christian that everything they say or do is godly or scripturally correct. I recently was counseling someone in our church that said “someone in the church” told them they should get out of their marriage, because it was not healthy. There are different kinds of gifts, but the same Spirit distributes them. There are different kinds of service, but the same Lord. There are different kinds of working, but in all of them and in everyone it is the same God at work. Now to each one the manifestation of the Spirit is given for the common good. Here Paul begins to flesh out the topic more fully. There are some interesting things to notice in this passage. 1. First we see a reference to the trinity. (Spirit, Lord, and God). So many people want to divide the trinity into 3 parts because we try to wrap our brain around the concept but once again we see all three part of the trinity acting as one in unison in the gifts. 2. Next, we several words attached to these gifts that indicate their use and definition. A. In vs 1 they are called “spirituals” this indicates the source. B. In vs 4 the word is gifts – Charis – undeserved gift. This is important to note: Spiritual Gifts are NOT a sign of spiritual maturity! In fact, they have no relation at all. Paul tells the Corinthian church that they lack nothing in the way of spiritual gifts, but he also says in Chapter 3 that they are carnal. Many times we buy into the lie that if someone is used by God then they must be spiritually mature. That is not the case. It is a grace (unmerited gift) of God in our lives. No one should be entrusted with authority just because they are gifted. Giftings don’t make us mature, often it is the gift that can encourage to mature. To take seriously the call of God in our lives, and to be more useful to God. C. The next word that is used is service, or administration. This is the same word used for deacon. This indicates that the gifts are used in service to others. They are not primarily for our benefit. While when we serve we gain in the process, it is not about us. It is about God and those He has called us to serve. This is how we LOVE. It is selfless. So often when people serve, there comes a point where the service becomes sacrifice. It takes work, it takes time and energy. It requires sacrifice to serve God well. To love others well. But God calls us to serve the body with the gifts He gives. When we say, it is just easier to sit and be served, we rob the body of Christ from the love he has asked us to show to one another. It would be very easy for me to phone it in, to say I just don’t want to serve you this week. But that is not a choice. Why because I love God and I love you. I cannot walk away form that to be selfish and not serve you the best way I can. D. The next word that is used is workings or operations. This indicates the functioning. The word used here is energo or energy. This means that it is from God’s power not our own. Do not confuse this with natural talent. Talent is something we work to develop. Instead this is divinely given. It is something that God does through you that you can take no credit for. There is a place for talent in the Kingdom of God. When God takes a talent and anoints it with a gifting then we begin to see a amazing thing but God doesn’t usually do that unless there is a great ammount of humility or suffering involved. Paul was one of these individuals. Paul had to come to end of Himself, where everything that was useful to God had to be surrendered. It was then in His humility and suffering that he could point to God as the giver of all good things. E. The last word used is the word manifestation. This means to make clear, to make known, to make visible. It is the opposite of to hide, or be private. What is it that we are to make clear, known and visible? Jesus! The gifts are given for us to proclaim who He is. Notice what it says they are given for the “common good”. They are not given for your good. They are given for others good. They are given to proclaim Him. To make Him known. To show the world the power of a God who loves and redeems? So the question is how has God gifted you? What has He called you to do? Are you willing to use it for His service? To do it under His power not your own? Are you willing to humble yourself, to surrender to the sacrifice to be used by God? And to declare, proclaim and make visible to those around you the goodness of God? Are you willing to us the gifts that God has given you to serve Him well?